Lessons on Forests and Food Security from a … Water Hyacinth? In the best-selling book, The Slight Edge, Jeff Olson tells the fable of a water hyacinth that dreamed of seeing the other side of a big pond. Because it was such a small plant, the water laughed at the flower, mocking it would never see the day. … very slowly. It took 15 days for the flower to barely cover one square foot of water. But the plant kept on growing – diligently doubling in size each day, and sending out delicate tendrils to poke into the silty pond bottom. Until suddenly – or so it seemed – by Day 29, half the pond’s surface was covered by the little flower’s foliage. And just 24 hours later on Day 30, the whole pond was covered by a floating blanket of purple-pink flowers. So Olson explains “the slight edge” philosophy of carrying out simple – even mundane – habits again and again over time to produce compound effects and eventually achieving success. Just like the incremental and persistent growth of the hyacinth led to its incredible takeover of the pond and attainment of its goal to see the other side. 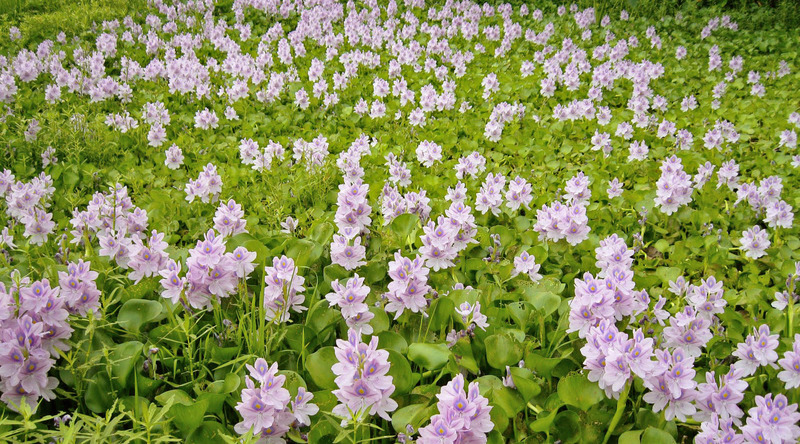 But what does a clever water hyacinth have to do with International Day of Forests? Close to one out of every six persons directly depends on forests, with food being one essential aspect of this dependence. An even greater number rely on the ecosystem services of forests – notably soil and water protection and pollination – specifically for their food and nutrition. Forests and tree-based systems are particularly critical for food security and nutrition for the poorest and the most vulnerable, including women. Vira et al. also point out that trees and forests provide other products needed to support food production, like firewood for cooking, feed for animals and green fertilizer for growing crops. But unlike most agricultural crops, reaping the many benefits of trees and forests takes time, and has a lot to do with a tree’s biology. their leaves trap dust, purify air, provide shade for understory plants, and – once fallen – organic matter to enrich the soil. And then finally one day there’s “all of a sudden”, fruit, seeds, wood and other products for consumption or sale. …not to mention a whole forest that beautifies the landscape, provides habitat, and offers a shady and peaceful retreat, while mitigating some of the most serious threats to vulnerable populations, caused by climate change – like erosion, desertification or flooding. Then there’s the attitude behind growing a forest. Education and basic awareness play important roles in empowering rural populations and have the potential to generate tangible and fundamental benefits for their households and communities including food security, sustainable forest management, health, education and general household nutrition. With hundreds of thousands of women in Kenya forced to walk miles for firewood and water each day because of widespread deforestation, Wangari started planting trees. She knew the trees helped prevent further erosion and eventually would create firewood for fuel, and a host of other benefits. And what began as one woman’s seemingly insignificant effort turned into the massive Green Belt Movement, which swept across Africa and led to the planting of 51 million trees – not unlike our little water plant spreading across the pond. Said Wangari, “It's the little things…that's what will make the difference”. Just like the water hyacinth’s “little thing” – it’s slight edge – was to grow a bit every day and send out new shoots, Wangari said, “My little thing is planting trees”. And whether it’s deliberate or not, Food for the Hungry Canada (FH) ascribes to the slight edge philosophy, too – especially where trees are concerned. You see, through the Plant a Tree gift, FH provides families with tree seedlings that will eventually provide future food, fuel and income, and which upon planting will start making those small changes to the environment we talked about. Changes like improving soil structure, retaining groundwater, and preventing runoff – that offer protection from erosion and flooding. And FH also introduces the practical skills, training and education – the habits and discipline – of tree planting and tending, forest conservation, and nature appreciation; a little knowledge that goes a long way to lifting up and empowering communities as they see their neighbourhoods beautified and transformed, and to better equipping them to deal with the uncertainties of climate change. Take Mr. Dingeta in Ethiopia, for example, who was given some hand tools, vegetable seeds, fruit and, coffee seedlings, but who had very acidic, infertile soil. “By applying the new techniques he learned and carefully stewarding his resources, Mr. Dingeta began to build up his own farm.” Catch that? He “began”. Success didn’t happen overnight, but over time as the trees improved the soil and he persisted in carrying out techniques he learned from FH, Dingeta’s diligence in applying the slight edge got him to the point where he had enough to feed his family and was able to sell seedlings to other farmers. 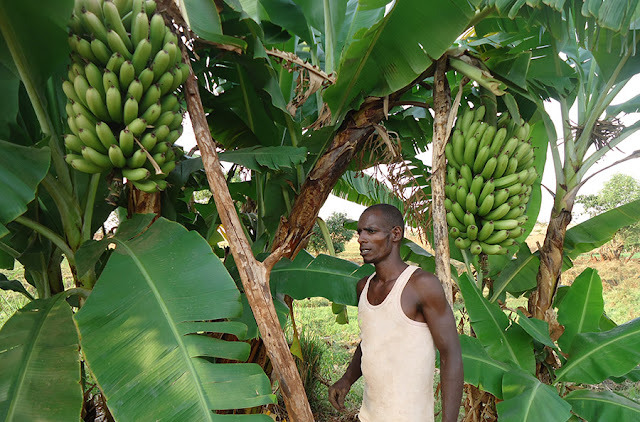 And by introducing a variety of multipurpose trees to the mix, Dingeta now generates additional income by selling timber for local construction – and produces enough firewood for his wife’s cook stove, too! With 1,250 coffee trees, it is expensive and hard work to mulch the trees in the dry season. 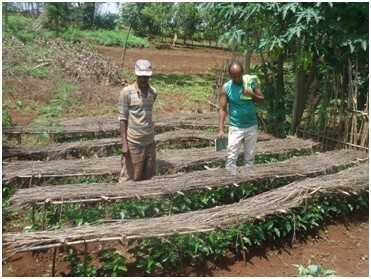 The work involves cutting bundles of grass and spreading the grass on the ground between the coffee trees to prevent the growth of weeds, preserve the moisture in the soil and eventually to form compost to improve the fertility of the soil. Whew, that’s a lot of work! But Mpawemina’s hanging in there with the slight edge: those essential – mundane, if you will –habits that will in due course lead to a payoff that will only come with his persistent mindset and letting his coffee plants do what comes naturally – grow! According to Olson, when you pass on the slight edge to someone else, you create a “Ripple Effect” – waves of positive changes that ripple outward. 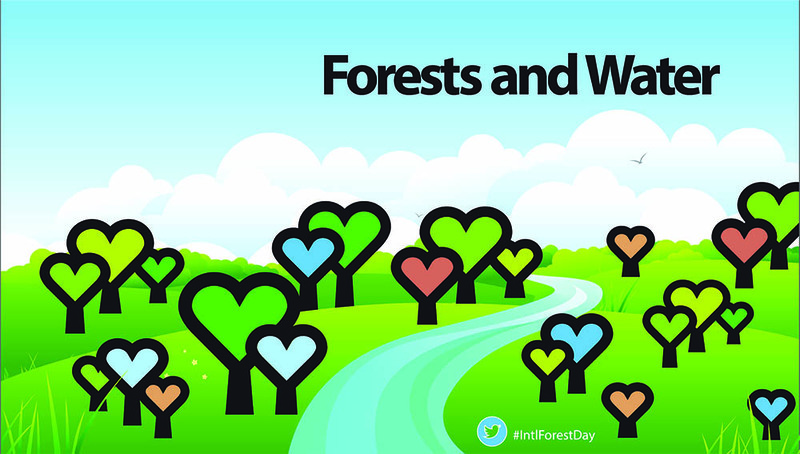 So this International Day of Forests, March 21, why not pay it forward for forests and food security by doing a “little thing” in the spirit of Wangari Maathai, like Planting a Tree? And give families and farmers the tools and techniques that will give them the slight edge to take on hunger and climate change … just like the determined little water hyacinth that took on a pond – and succeeded. Food for the Hungry: Lessons on Forests and Food Security from a … Water Hyacinth?